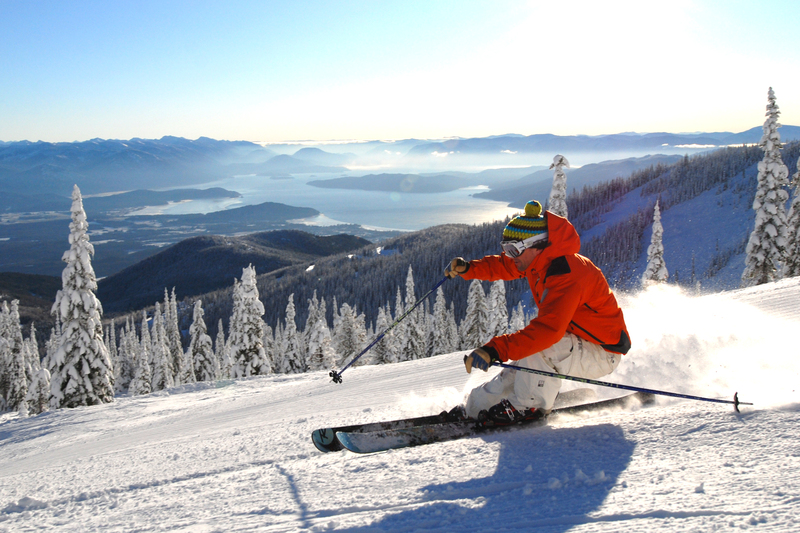 Fast Facts To reach Schweitzer from Spokane: I-90 east to Coeur d'Alene, U.S. 95 north to Sandpoint Total mileage: 88 Daily ski and snowboard lift ticket: adult (age 18-64), $65; junior (7-17), $49; college student, $55; seniors (65+), $55; child (6 and under), free. Check your local ski shops for discounts and specials, and visit www.schweitzer.com for the latest lodging deals and ski packages. Schweitzer has long been a favorite Inland Northwest ski destination, and this season the resort is betting that technology will take them another step toward the top. Schweitzer is implementing a ticketing application that uses the Web and mobile phone technology to streamline the purchasing process. So this season skiers and boarders can buy lift tickets on their way to the mountain using their web-enabled mobile phones. Purchases on the new ticketing system will produce a barcode on the user’s mobile device that can be scanned upon arrival at Schweitzer village. The new mobile application makes it easier to get on the slopes, but most skiers and boarders don’t visit Schweitzer for the technology. They visit for the mountain’s 2,900 skiable acres and 2,400 vertical feet. They visit for the nine chairlifts, which include a triple, two high-speed quads and the area’s only high-speed six-person lift. And they visit for the high percentage of intermediate and advanced terrain, and the extensive, accessible back country areas. Schweitzer has an open-boundary policy, which Chasse says opens-up a lot of “side-country skiing” to skiers and boarders. Areas beyond resort boundaries aren’t patrolled, but they can be accessed and explored using Schweitzer’s lift system. The mountain also partners with Selkirk Powder Company, a cat-skiing operation in Schweitzer’s west bowl that offers nearly 4,000 acres of pristine back country to customers. Maintenance crews at Schweitzer were busy this summer. Chasse said the resort invested about a million dollars into rebuilding lift motors, modernizing groomers, cutting brush, and re-contouring trails. He believes this maintenance, along with Schweitzer’s terrain variety, high-speed lifts and exceptional grooming, appeals to the modern, baby-boomer-age skier. SIDEBAR Cat Stew and Ski Resorts Schweitzer is a well known mountain in the area, but its namesake is a piece of lore that fewer know about. The name Schweitzer traces back to an old Swiss hermit and trapper who lived in the basin during the mountain’s earliest years. Local legend says the eccentric recluse was fond of “cat stew,” and many neighborhood cats allegedly went missing during Mr. Schweitzer’s tenure at his primitive cabin. Little is known about Mr. Schweitzer himself, other than he served in the Swiss military before living at the base of the mountain. In the 1890s Mr. Schweitzer became the target of a criminal investigation, and when local authorities searched his old cabin, they found the hides of numerous missing cats. Mr. Schweitzer was taken into custody and later admitted into an asylum where he spent the remainder of his days. So as you carve-up the powdery slopes of Schweitzer this winter, tip your cap to the cat-stew-loving hermit for whom this recognizable mountain is named. Published: Nov. 21, 2010, 9:49 a.m.